Cell culture plays an important role in a wide range of biological research, from modelling diseases, to testing drug toxicity, to manufacturing vaccines. Traditionally, cultures have been planar, static 2D models, grown in Petri dishes or flasks. However, these models present a number of limitations, and in recent years there has been a move towards the use of more complex 3D models. To learn about the range of 3D tools available, and the advantages they can bring to researchers, we spoke to Dr. Richard Eglen, Vice President and General Manager of Corning Life Sciences. AM: What are some of the limitations of 2D cell culture models? RE: A key limitation of 2D cell culture models is that since these cells are grown as a monolayer on flat, planar surfaces they are unable to fully reproduce the cellular microenvironment in-vivo. Consequently, they are less effective as preclinical models for drug screening, and for predicting in-vivo drug efficacy or toxicity. In some cases, this leads to poor translation of the in-vitro effects seen in 2D culture to the in-vivo situation. AM: Which applications are 3D cultures particularly suited to? Are there any situations when 2D models would be more appropriate? RE: The adoption of 3D culture technology is growing in both academic research and in drug discovery, notably in lead optimization. 3D culture technologies, particularly when coupled with confocal optical imaging, allow for drug screening assays using protocols not feasible with 2D cultures. As a result, applications for 3D culture range from oncology, neurology, stem cell research and drug safety assessment. Nonetheless, there are still a few challenges when using 3D culture. For example, several 3D culture models, including organoids, exhibit more complex morphology and function than seen in 2D cultured cells. This can lead to potential challenges in standardization of morphology, size and complexity, and in the systematic assessment of drug pharmacology. You can hear Richard talk more about some of the applications 3D cultures are particularly suited to in this video. AM: Can you give us an overview of the main 3D tools available, and some of the benefits/limitations of each? AM: Can you tell us about the use of tumour spheroids in cancer research, and how Corning is enabling and helping this area of research? RE: Compared to 2D culture, where cells have approximately 50% of their surface area exposed to extracellular fluid, 3D cultured cells have nearly 100% of their surface area in contact with other cells or matrix. The spheroid concept, which is a homogeneous or heterogeneous assembly of cells forming a ball, is to replicate the physiology and pathophysiology of a tumor. Cell spheroids reproduce the tumor microenvironment, including the oxygen and nutrient gradients. Richard tells us more about tumour spheroids in this video. Corning has have recently demonstrated a 3D spheroid model to study cancer/immune cell interactions by using both Corning 96-well spheroid microplates and the HTS Transwell-96 tissue culture system. (Corning HTS Transwells-96 permeable support systems are commonly used for drug transport and migration/invasion studies). By replacing the standard 2D flat-bottom Transwell receiver plate with a Corning spheroid microplate, the researcher can investigate immune cell homing, tumour cytotoxicity, and tumour immune evasion in a simple, robust, 3D HTS assay is. AM: Where do you see the future of cell culture headed? Will there be a move towards 4D? 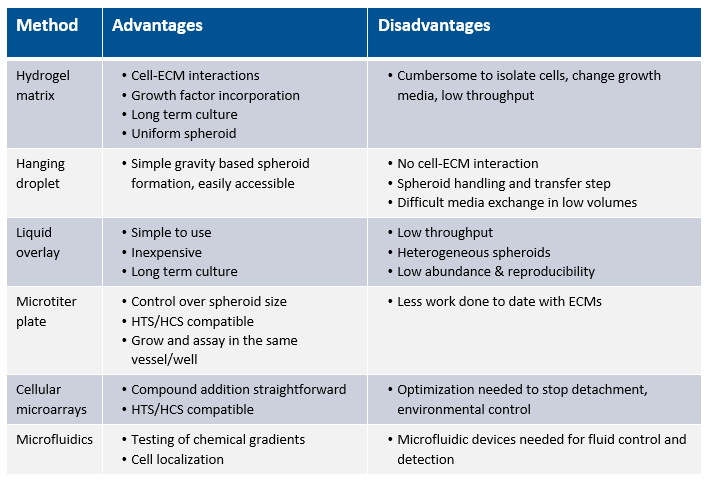 RE: Today, the market is rapidly adopting 3D cell culture technologies, with the median annual budget allocated to spheroid culture consumables increasing. If these numbers are accurate, advances in 3D cell culture technology will continue to have a significant impact on laboratory spend. Related to this, is the fact that several protocols are being reduced to routine practice, including those for automation systems employed in compound HTS and preclinical drug evaluation. The use of cultured primary human cells may facilitate the most appropriate treatment for the patients, as well as provide optimal compound screening systems to develop novel therapeutics. Potential future directions, such as organs-on-chips, hydrostatic flow technologies, microfluidics, and 3D bioprinting will also allow for real-time observation of cellular responsiveness to novel compounds and drugs to be conducted in real time, taking the researcher into a fourth dimension of 3D cell culture. (note the 4 dimension is time i.e. kinetic studies in 3D). AM: Can you tell us about some of the 3D tools that Corning offers, and how they can help researchers? RE: Corning offers a broad range of products for 3D cell culture, one of the best known being the Corning® Matrigel® Matrix, a natural ECM-based hydrogel suitable for both 2D and 3D cultures. Although this product isn’t new, it has been in use for over 30 years and is the gold standard for cell culture. Researchers have been using Corning® Matrigel® matrix and Transwell® permeable supports for many years to mimic the 3D ECM surface that cells naturally grow on. Building on this pioneering experience, Corning has now introduced new ECM surfaces and protocols for both manual and high throughput 3D cell culture. These include 96-well and 384-well spheroid microplates and HTS Transwell® tissue culture systems. Corning spheroid microplates have round well-bottom geometry and are coated with Ultra-Low Attachment surface, resulting in the formation of highly reproducible, single multi-cellular tumor spheroids, centered in each well. Later this year, Corning will introduce a 1536-well spheroid microplate for ultra-high throughput screening. As more labs transition from 2D to 3D cell culture, the company also provides expert technical support for its customers who are either just initiating research in this area, or exploring more advanced techniques, including 3D HTS. 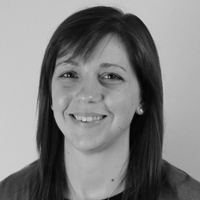 Richard Eglen was speaking to Anna MacDonald, Editor for Technology Networks.